Jaleel (45,783) who was placed first last week dropped to number two paving the way to Abeysekera who polled in (45,901) votes and had a majority of of only 118 votes. 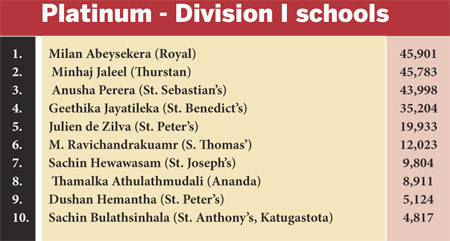 Sebastianite Anusha Perera was placed third with 43,998 votes.In the Gold segment for schools playing in division 11, Sakunda de Silva (37,001) of Sri Devananda, Ambalangoda took over the lead from Yamal Siriwardena (36,932) of St. John’s, Nugegoda. 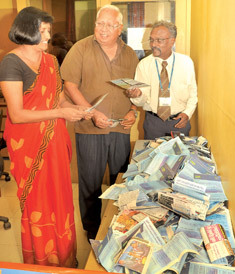 The majority between de Silva and Siriwardena is only 69 votes. 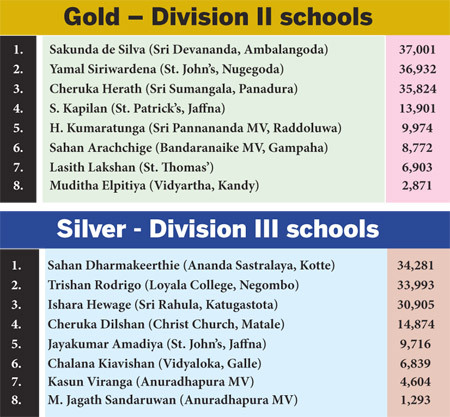 In the ‘Silver’ Sahan Dharmakeerthie (34,281) of Ananda Sastralaya, Kotte, took over the first place from Trishan Rodrigo (33,993) of Loyala College, Negombo. Ishara Hewage of Sri Rahula, Katugastota is in the third place with 30,905 votes.